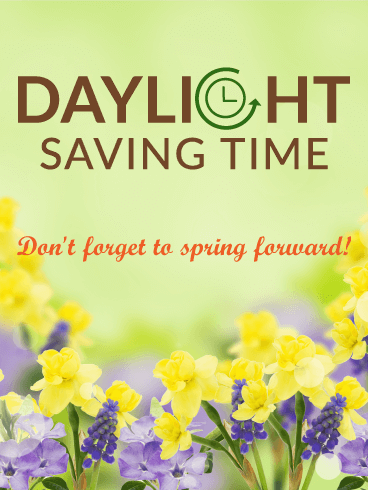 Daylight Saving Time - Don't forget to Spring Forward! Spring is a time for new life, days spent outside in the sun, and long sunlit hours to chase away the cold of winter. 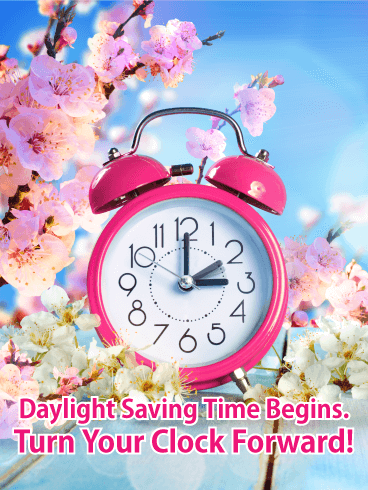 To enjoy these beautiful spring days, we have to sacrifice an hour of sleep to Daylight Savings Time. 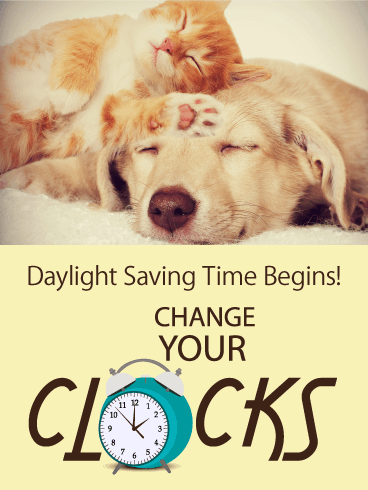 To celebrate the start of the new season, send this Daylight Savings Time card to your friends and family! 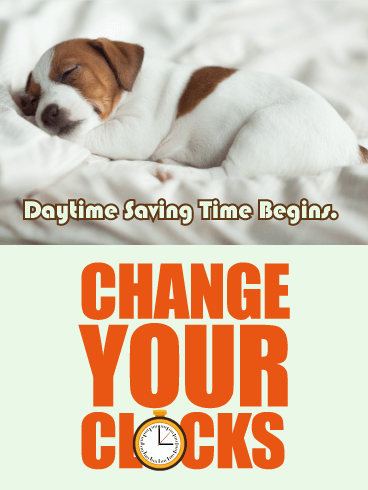 It's spring, which means it's time to spring forward and change your clocks! 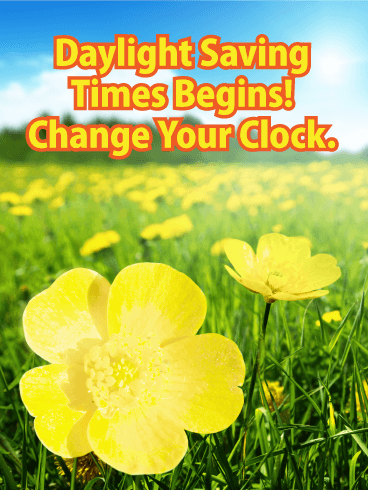 Spring is a time for renewal and new life, so use Daylight Savings Time as an opportunity to renew your own life. 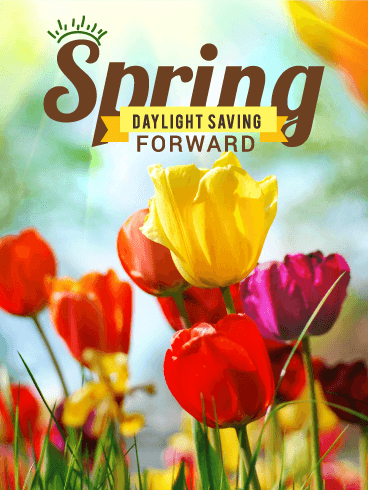 With this gorgeous Daylight Savings Time card, you can help your friends and family celebrate the start of spring and forget about their tiredness. This card can brighten anyone's day, so send it today! This kitten is all worn out because she remembered to set her clocks forward for Daylight Savings Time! Losing an hour of sleep can be hard, but it also gives us an extra hour of sunlight during the day. 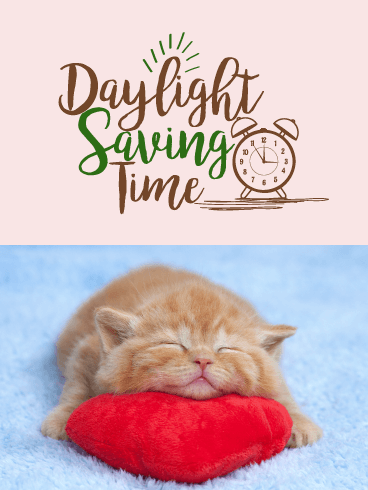 With this adorable kitten Daylight Savings Time card, you can remind yourself to set your clocks forward and remind your loved ones to do it, too! Send this card to everyone you know to celebrate this event! 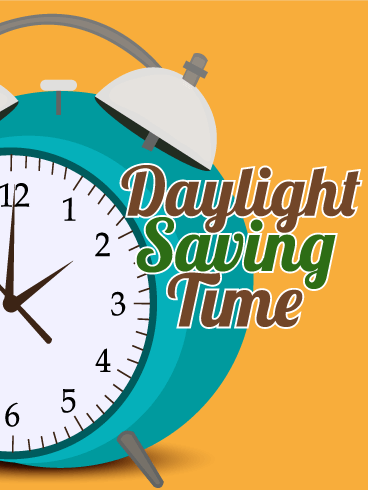 For one weekend in the spring, we set our clocks forward and sacrifice one hour of sleep to get one extra hour of sunlight every day. Though we do this every year, it’s often difficult to give up that hour of sleep. Like the sleeping puppy on this Daylight Savings Time card, this event makes us sleepy and ready for a nap. Give your friends and family permission to enjoy their nap with this cute card! It's Daylight Savings Time, so it's time to set your clocks forward and enjoy a new time! 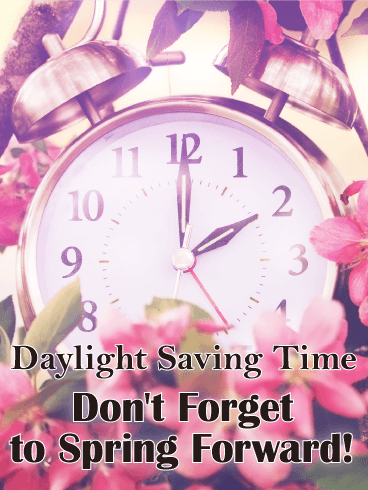 Daylight Savings Time is often viewed poorly because of the loss of an hour of sleep, but it allows us to enjoy longer days for the spring and summer. With this Daylight Savings Time card, you can help your loved ones view this event with more happiness and positivity. Send it today!